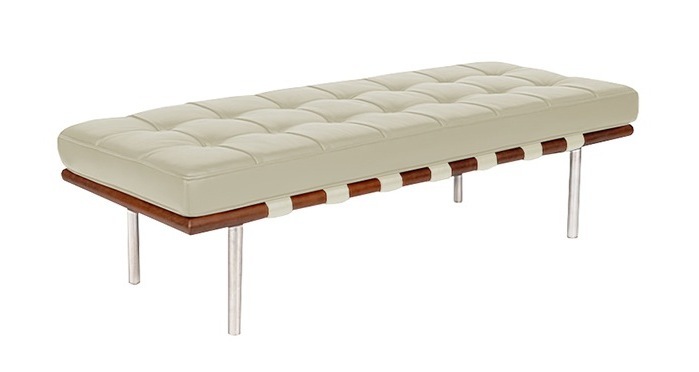 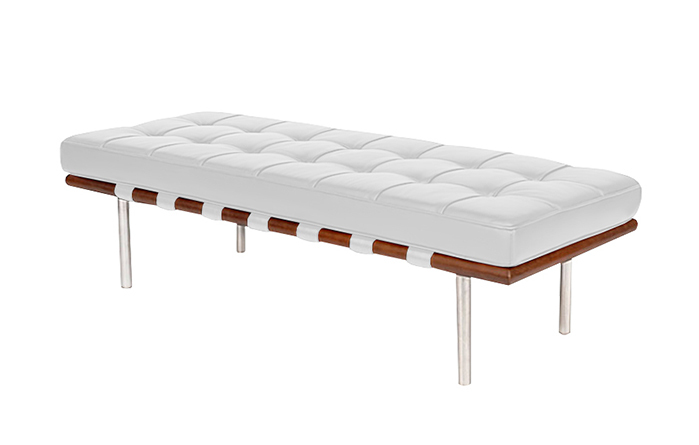 The Sevilla Bench by Alphaville Design features sleek minimalist styling, a perfect blend of art and function. Suitable for a variety of uses, from a hall way to a foot-stool or a stylish piece of reception furniture. 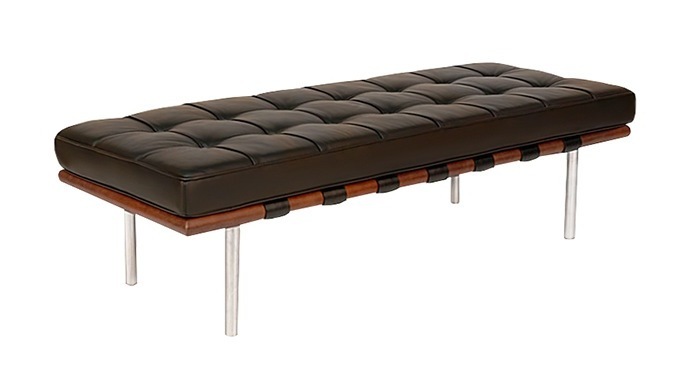 As you can see from our detailed photographs, our version of the Sevilla bench is made to the very highest standards, covered in beautiful Italian leather, with individually stitched squares, hand stitched buttons, concealed zips and full leather straps. 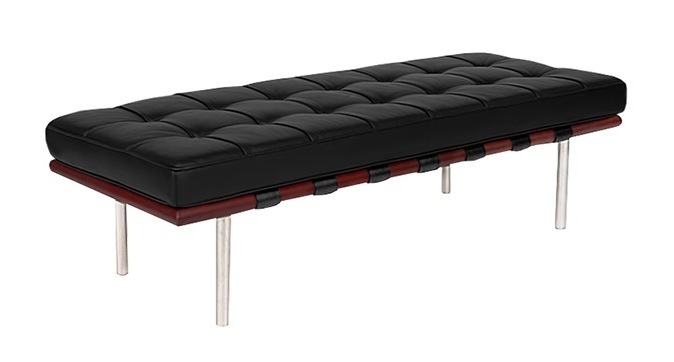 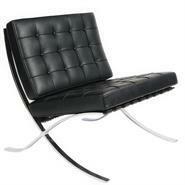 The frame is solid wood and legs are the highest quality chrome plated steel.